Enclosed Car Trailer For Sale | T.P. 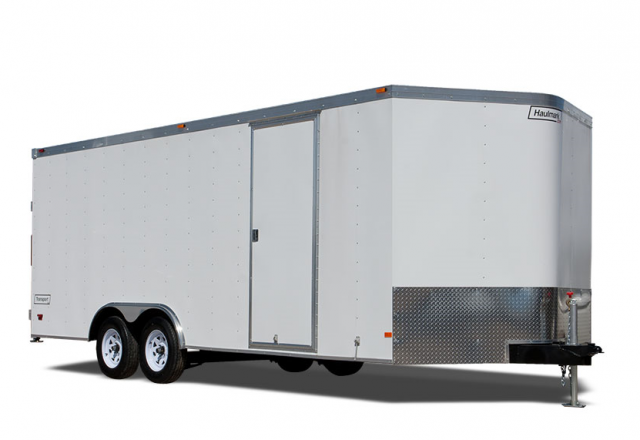 Trailers, Inc.
Our enclosed car trailers can help you transport your vehicle to out of town car shows or use it to move home goods, motorcycles, landscape equipment, music equipment or sports equipment. Our enclosed trailers include single and tandem axle trailers with a flat front or v-nose for extra space. Packages are available and we have different models and sizes in stock. Call or drop by today to check out a new enclosed car trailer. Car Mate trailers offer quality enclosed car trailers for multiple uses. Haul your antique car in a quality made trailer or use it to haul equipment or moving home goods. Car Mate offers many sizes, styles and packages. Call to customize your own enclosed car trailer with optional features such as v-fronts, extended tongues, ramp door, roll awning, get-out man door, finished interiors and much more. Wherever you take your car, Haulmark enclosed car trailers will carry it there in style. 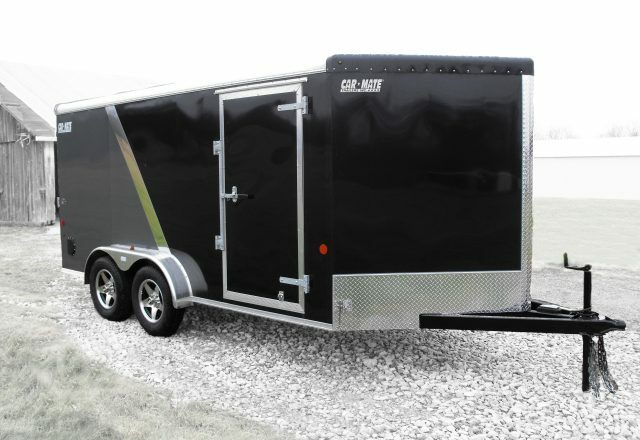 The superior design and stylish profile are sure to turn heads, but the solid construction and built in features such as a v-nose front, 24” aluminum diamond plate stoneguard, side door, dome lights and wall switch and option of ramp door or double doors, demonstrate to everyone that you have a great trailer with great value. 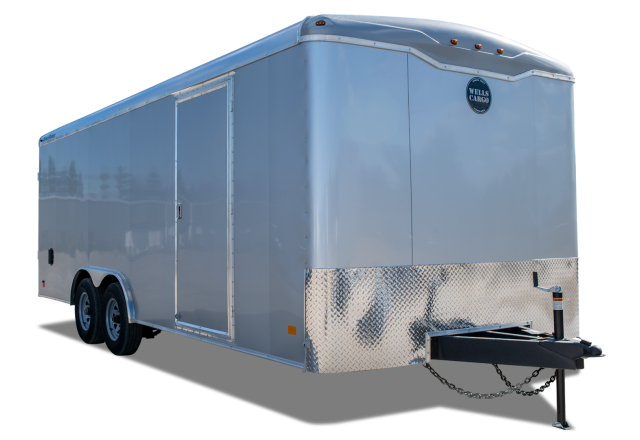 Ask about our deluxe package with chrome accents and finished interiors or call to customize your enclosed car trailer. Unlike the other models in the Road Force® line-up, the 8.5′ wide is an auto hauler at heart. If you’re a collector or racer looking for superior quality, durability and style, then the 8.5′ wide Road Force® is a smart choice. For starters, the Road Force® features an extra wide 94″ rear ramp door opening, no-show beavertail, side entry door with recessed step, sidewall vents and tie-down rings – all standard. Factor in the radial tires, LED slime line tail lights, ArmorTechTM covered A-frame and a 3-year limited warranty; now you know you’ve got a trailer that’s packed with value and built to last!